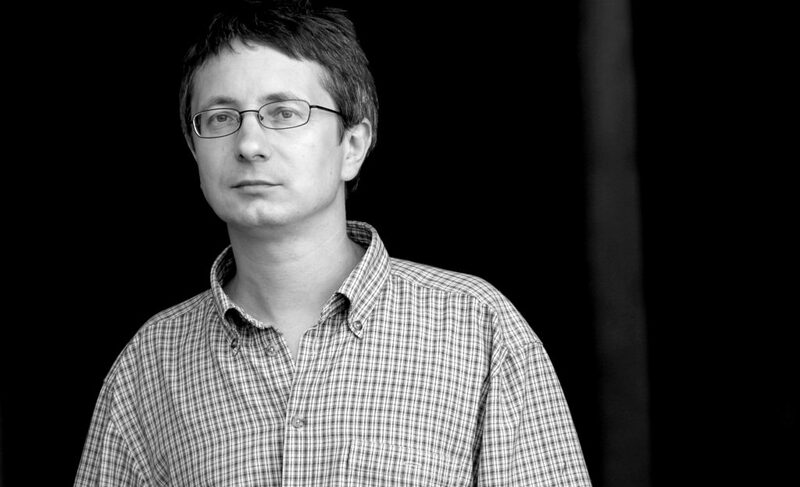 Poet and translator Ivan Dobnik was born in 1960 in Celje. He lives and works in Šmatevž in the Savinja Valley and in Ljubljana, where he graduated in Philosophy and Comparative Literature at the Faculty of Arts. In addition to authoring lyricism, essays, critiques and translations, Ivan Dobnik is the founder and editor-in-chief of the literary magazine Poetikon. He translates mostly from French (Michaux, Bonnefoy, Jacottet, Camus), having also published a series of original poetry collections: Osvobajanje (Liberation, 1980), Kaligrafija lire (Lyre’s Calligraphy, 1999), Zapreš svoje oči (You Close Your Eyes, 2003), in 2004 shortlisted for the national Veronika Prize for poetry, Rhapsodie dans un hiver froide / Rapsodija v mrzli zimi (Rhapsody in a Frigid Winter, 2006), published in French and Slovene, Zapisi z drevesnih lističev (Notes From Tree Leaves, 2006), Stimmen slowenischer Lyrik 1 / Glasovi slovenske poezije 1 (Voices of Slovene Poetry 1, co-authored with Andrej Medved and Miklavž Komelj, 2007), published in German and Slovene, Svetilnik (The Lighthouse, 2008), Bela pesem (The White Song, 2009, 2015), Voices of Slovene Poetry 3 / Glasovi slovenske poezije 3 (co-authored with Zoran Pevc and Miriam Drev, 2010), published in English and Slovene, Pred začetkom (Before the Beginning, 2010), Druga obala (The Other Coast, 2011), Bolska (2015) and Magični pesniški izreki (Magical Poetic Incantations, 2016). Ivan Dobnik’s poems have appeared in a variety of foreign languages.